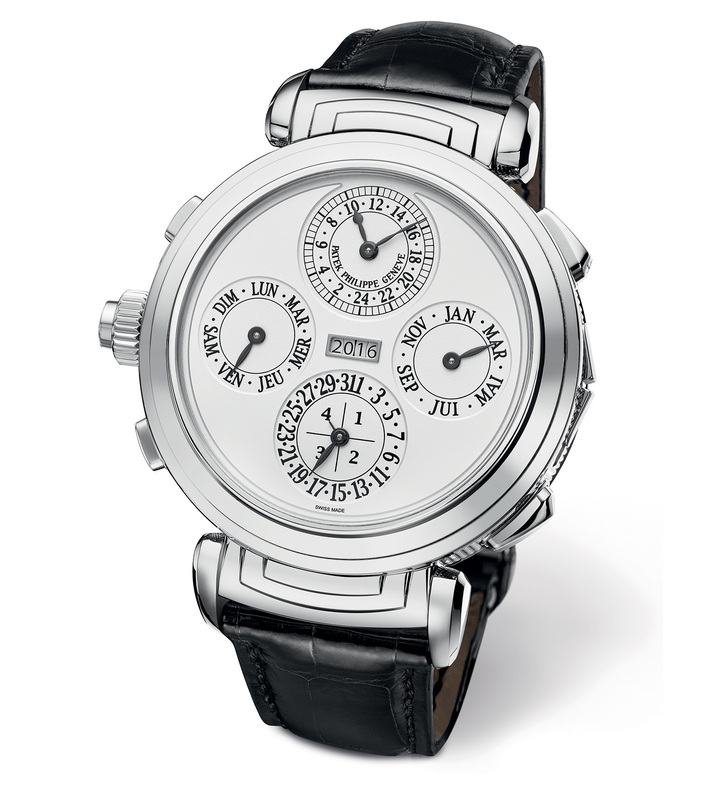 First unveiled in 2014 at Patek Philippe‘s 175th anniversary celebrations, the Grandmaster Chime was then announced as a six piece limited edition with a heavily engraved case. The most complicated Patek Philippe wristwatch ever, and also its first wristwatch with a grande and petite sonnerie, the Grandmaster Chime is now, unexpectedly, back in the collection. The new Grandmaster Chime ref. 6300G has the exact same movement as the six piece limited edition, but sans the fancy case decoration – and it is part of the regular collection. 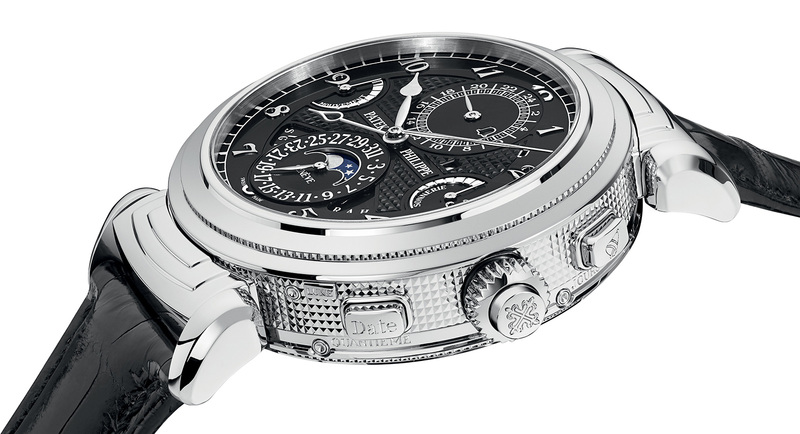 Or as regular as a US$2.25 million watch can be. 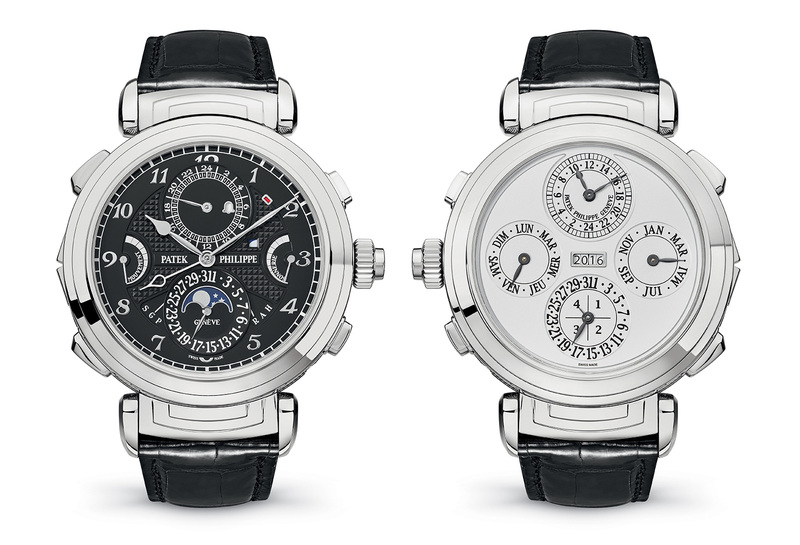 While the key complication in the Grandmaster Chime is the grande and petite sonnerie, which strikes the time automatically as it passes like a grandfather clock, it include a slew of other complications. Those include an alarm, date repeater that chimes out the date, second time zone, and an instantaneous perpetual calendar. Because the calibre GS AL 36-750 QIS FUS IRM has 20 complications in total – too numerous for one dial – the Grandmaster Chime requires a reversible case so that the displays on both faces can be visible on the wrist. That’s the same 47.4 mm case as 175th anniversary edition, except now in white gold with a clous de Paris, or hobnail, engraving. While the six owners of the 175th anniversary Grandmaster Chime might be miffed at this abasing of the limited edition, the new ref. 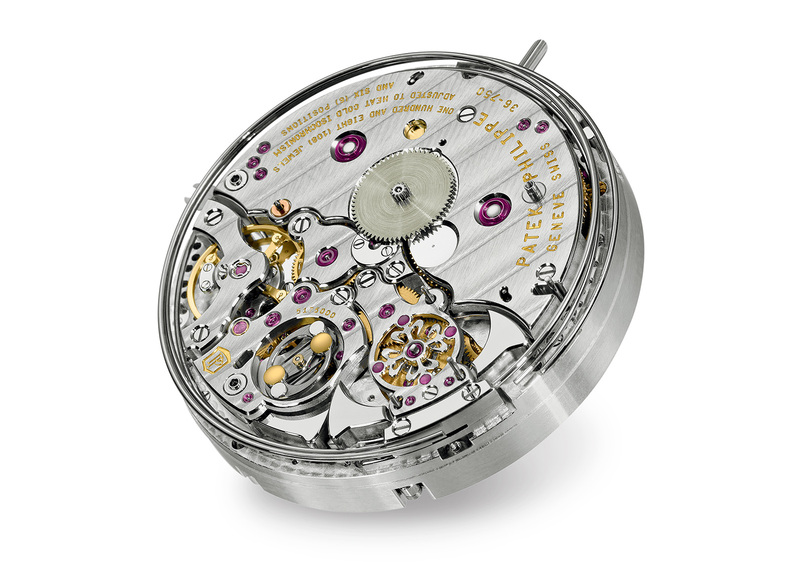 6300 does keep the 1366-part movement “alive” as Patek Philippe notes, instead of relegating it to a mere six examples. 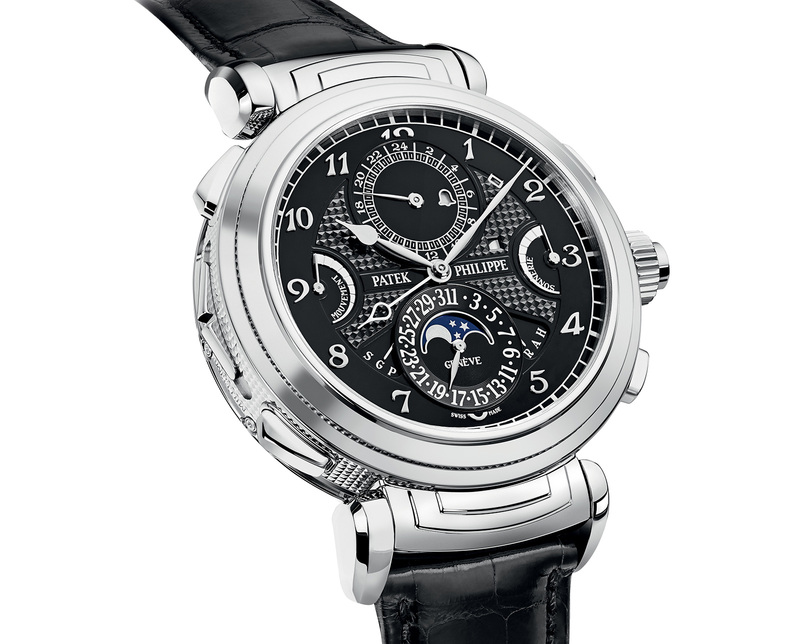 The price of this lively watch is SFr2.2 million, equivalent to US$2.25 million.